Continuing on with our series about anticipating DOMOTEX 2010 and the opportunities for flooring, here is a report on the UK Flooring Market brought to us by Cheryl Withers of the London office of the U.S. Commercial Service and colleague of Catherine Mayer. The UK market for floor coverings was worth around $9.7 billion in 2008. Carpet accounts for around 55% of the UK market. It has traditionally been the most favored form of floor covering in the UK primarily because of the climate and the comfort factor. However, wood and tile are increasing in popularity and gaining more of a market share. The non-domestic sector (offices, retail, leisure, and education) is also experiencing a shift to wood. Solid wood was popular during the 1990s but the situation has reversed as laminated wood [i.e., engineered wood] has become increasingly cheaper to purchase. Sales of solid wood are still expected to increase but so is the competition. The UK imports a large amount of wood from Scandinavia and Germany. The market has been affected by the current recession but I expect the current drive for more new housing and refurbishment projects to have a positive influence once the crisis ends. Natural/eco products or unique products would be particularly welcomed. 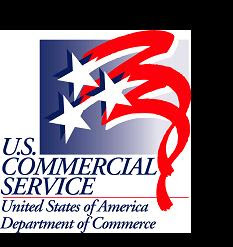 With its network of offices across the United States and in more than 80 countries, the U.S. Commercial Service of the U.S. Department of Commerce utilizes its global presence and international marketing expertise to help U.S. companies sell their products and services worldwide. Locate the U.S. Commercial Service trade specialist in the U.S. nearest you by visiting http://www.export.gov/eac. International copyright, U.S. Department of Commerce, 2009. All rights reserved outside of the United States. Thank you, Cheryl, for this report -- and Catherine for involving your colleague! As it relates to DOMOTEX, the U.S. Commercial Service in Frankfurt is your contact for export assistance. Although each country has a trade specialist, the Frankfurt office - and Catherine Mayer - coordinates those offices. Catherine Mayer will be at DOMOTEX 2010 and scheduling meetings with American visitors and foreign buyers to promote the sale of American made products. If you are attending DOMOTEX and want to benefit from the services provided by the US Department of Commerce, Commercial Services Division, please be sure to contact Catherine Mayer, Jim Gould or me to schedule an appointment. US DOC services include market research, introductions to foreign markets and guidance on how to do business in any specific foreign country.